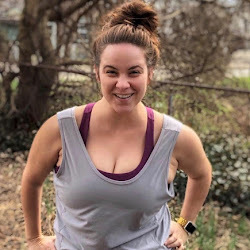 The Rowley Inn: I Triple-Dog Dare Ya! Fun fact: The beloved holiday film A Christmas Story was filmed in Cleveland's Tremont neighborhood, where I happen to live. The house that served as the movie set is now a museum open all year round, not just during the holiday season. When you're done there, head across the street to one of the neighborhood's best restaurants, an old bar with a brand new menu: The Rowley Inn. 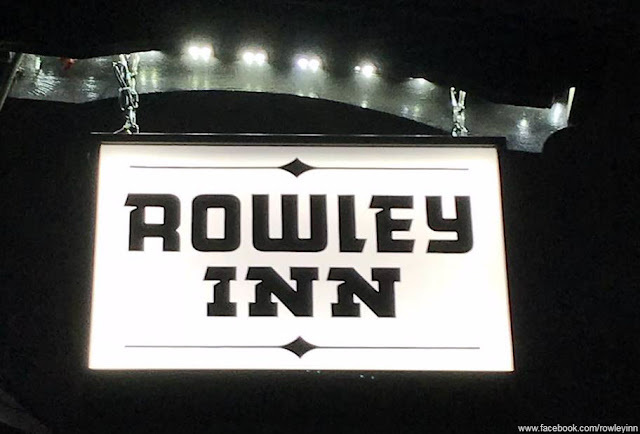 Opened in 1906, The Rowley Inn is a local dive that originally served as a third-shift bar for nearby steelworkers; even now, it opens at 5:30am on weekdays & starts serving brunch at 8am on weekends (including Saturdays, a rarity in the CLE). 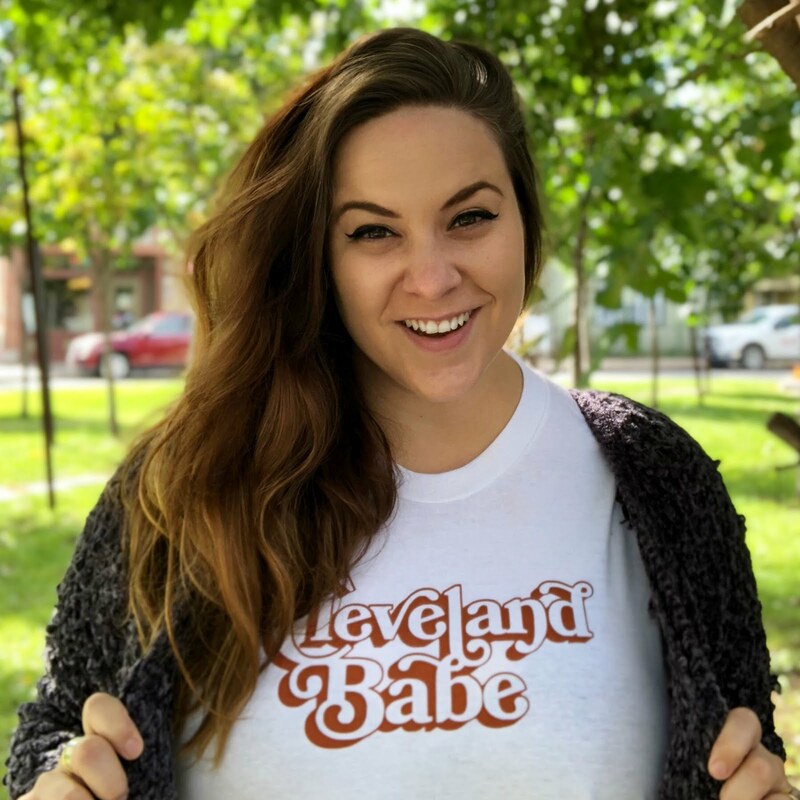 It's an unassuming little place located a bit off the beaten path of Tremont's main drag, so it's the kind of spot that could easily fall off your radar - but you, dear Clevelander, cannot let that happen. Why? Because this place is freaking incredible. New owners Jon Oberman & Raphael Rivilla set out to make The Rowley Inn a premiere gastropub, the sort of place worth going out of your way for - & in my opinion, they've succeeded. 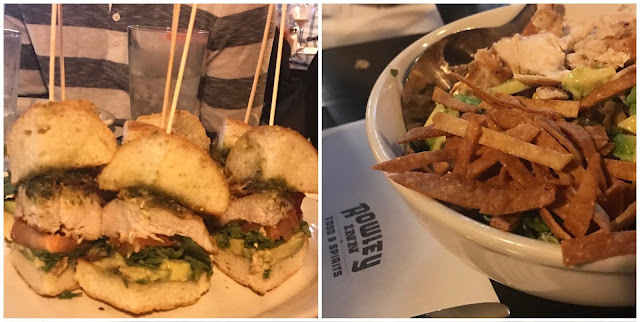 Earlier this month, I was among a few Cleveland bloggers invited to try out 10 of The Rowley Inn's new menu items. It was a feast - & a damn good one, too. The menu focuses on comfort food, including classics like thick, creamy mac & cheese made with smoked Gouda, cheddar, & panko bread crumbs. Unfortunately, Mike made me ration it (just five freaking noodles!) because we're pretty sure I've become lactose intolerant. 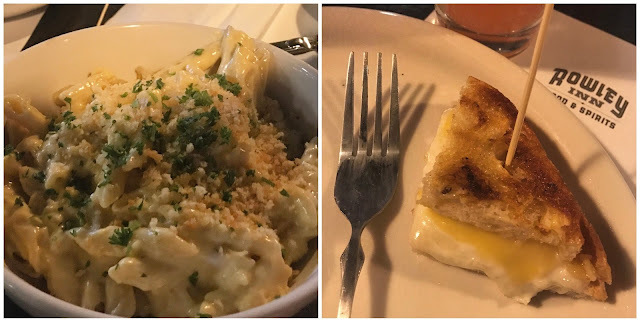 Same for the Cleveland’s Best Grilled Cheese (a high claim that The Rowley Inn's version totally lives up to) made with smoked gouda, a mozzarella/provolone blend, & a touch of mayo to keep it creamy. The menu is heavy on Polish favorites like pierogis & kielbasa, often with a twist - like the Cleveland Burger, topped with Pierogi, kielbasa, kraut, beer cheese, & stadium mustard. I didn't get a good pic of that one, mostly because it went so quickly. They also serve kielbasa corndogs - for brunch! Speaking of brunch, let's talk about how much I love chicken & waffles. I love chicken & waffles. So, it turns out, did the other diners at our table, & we even agreed on the best in town (Soho Chicken + Whiskey) & the worst (we'll never tell). Soho's got a run for their money, though, with the Rowley Inn's version, which might actually be my new fave. Cinnamon waffles & homemade gravy? Swoon. Perhaps the most unusual dish of all - & among the tastiest, if I had to choose - was the Loco Moski, a Cleveland take on a Hawaiian dish. The original is made one a bed of rice, but The Rowley Inn has swapped in... you've guessed it, pierogis. This huge plate of sautéed pierogis is topped with a hamburger patty, gravy, onions, & fried egg. Look at this delicious beast! And because this is still, after all, a bar, there are lots of drinks. 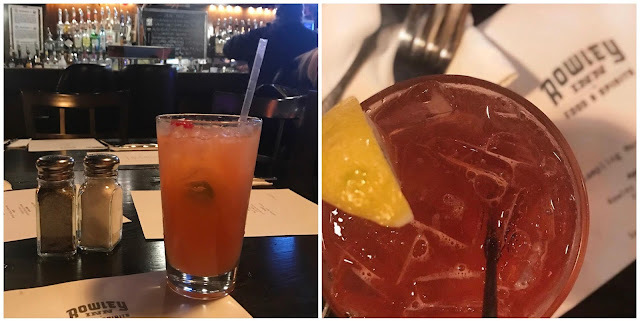 The Rowley Inn's quirky specialty cocktails are Christmas Story-themed, like the Red Ryder cocktail made with Bulleit. Get it? (You'll shoot your eye out...) We also got to try the Pink Nightmare (please tell me you're getting these references), which is a fruity, bright pink tequila cocktail that packed a punch. By the end of the night, we were almost too stuffed to move, but we also knew we'd found a new local favorite. My terrible photos hardly do their food justice; the bar gets fairly dark in the evenings, & I wasn't sitting beneath a light, so I did the best I could. The good new is that I'll definitely being back soon, so you can bet Instagram will boast some bright new pics in the weeks to come. Bottom line: If you haven't tried out The Rowley Inn's new menu, get thee to Tremont, stat - & if you don't want to go alone, you can almost definitely convince me to join you - no triple-dog dare needed! 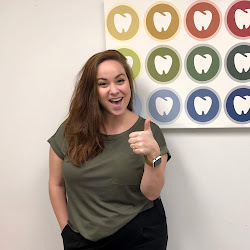 Disclaimer: Disclosure: I was invited, along with a guest, to attend a blogger event dinner that included complimentary food & drinks, along with a $25 gift card to use in the future. As always, though, all opinions are my own. All photos were taken by me expect for the header photo, credited to The Rowley Inn's Facebook page.